Trees not only add beauty and value to property but also enhance the physical environment by providing shade, reflecting heat, and blocking wind. Choosing the right trees for the right location and conditions, however, is not always easy: each species has its own requirements for sunlight, water, drainage, and protection. 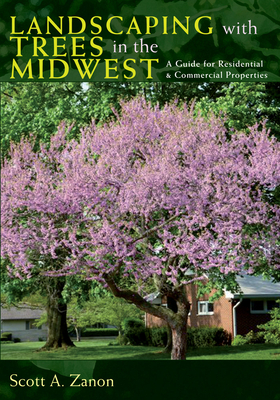 This guidebook also considers trees as a factor in overall environmental health and gives special consideration to the effects of the emerald ash borer, which continues to wreak havoc in wooded areas of the Midwest, offering replacement alternatives for vulnerable areas. In addition to the text and photos, the book includes a table of growth rates and sizes, a map of hardiness zones, and other valuable reference tools. Scott A. Zanon is a consultant providing advice and services to the green industry regarding tree and turfgrass issues. He holds degrees in agronomy and horticulture and is the author of Desirable Trees for the Midwest.